Grayne's premium waxing iron is the ultimate tuning tool for your stick! Full temperature adjustability from 70° to 190° C lets you dial in the perfect temp for every type of wax. The ergonomic handle offers much more than comfort. With a specific design to ensure the plate of the iron stays safely away from your table and or board, this iron can rest vertically or horizontally on all four sides. A notch in the rear of the handle keeps the cord out of the way both while waxing and stored. 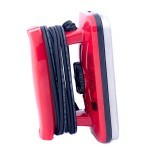 The cord then wraps cleanly around the handle with the notch keeping the cord in place for tidy storage. Quickly heating to any temperature setting, the extra large plate of this iron means faster waxing time and almost zero wait time! The evenly distributed heating element allows the iron to regulate the temperature across the entire plate for a premium level heat retention and temperature stability. A light next to the temperature dial will tell you when your Iron is properly heated so you're never left guessing! Find yourself traveling? 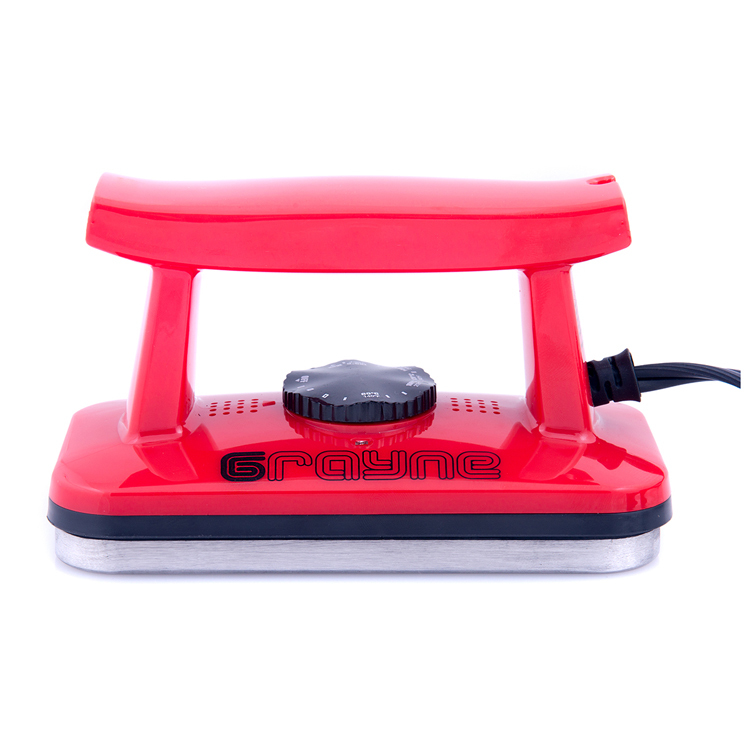 Grayne's premium waxing iron also features dual voltage settings for 100-127V or 220-240V outlets so you can use your iron wherever your travels may take you! A three year warranty ensures you'll be waxing your board with confidence for years to come! 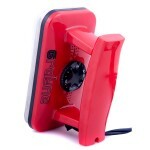 As with all Grayne products, this iron comes with a three year warranty against manufacturer defects.